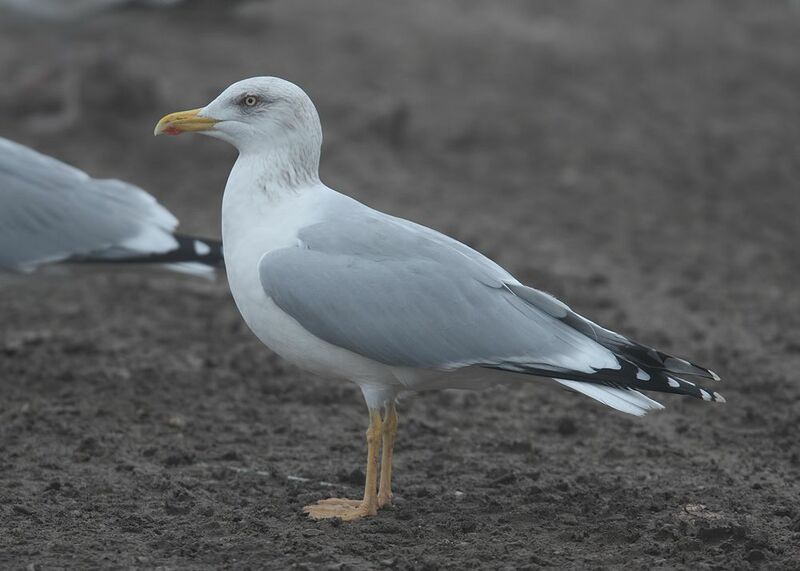 'Omissus' Herring Gulls ~ Getlini, Latvia - 21 / 23 .11.14 | Birding the day away !! 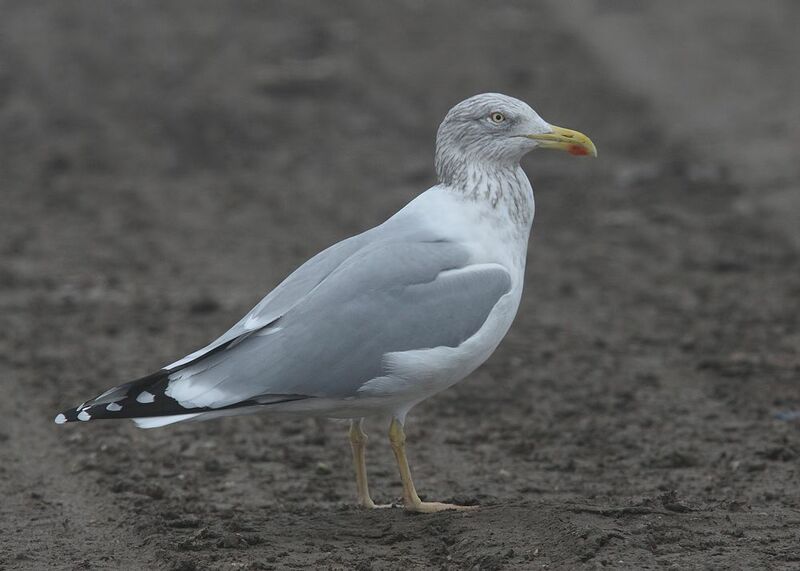 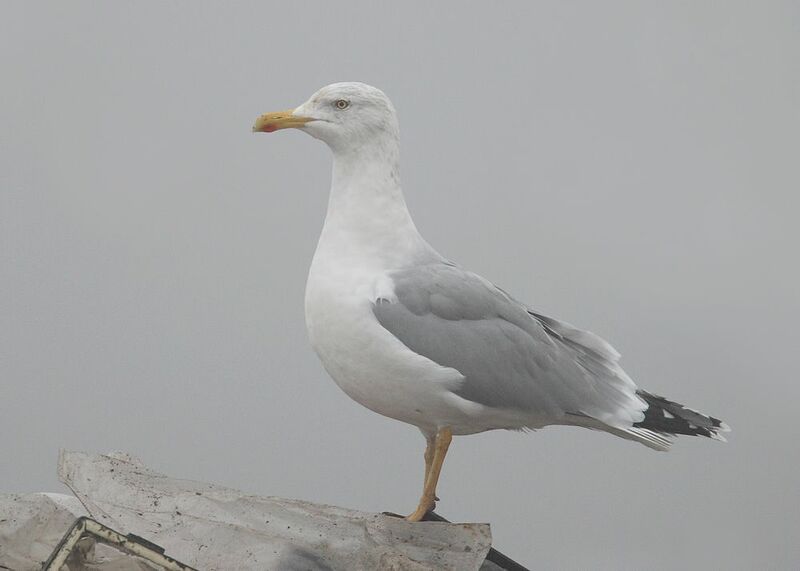 This Eastern Baltic race of argentatus breeds on marshes in Latvia / Estonia & W. Russia. 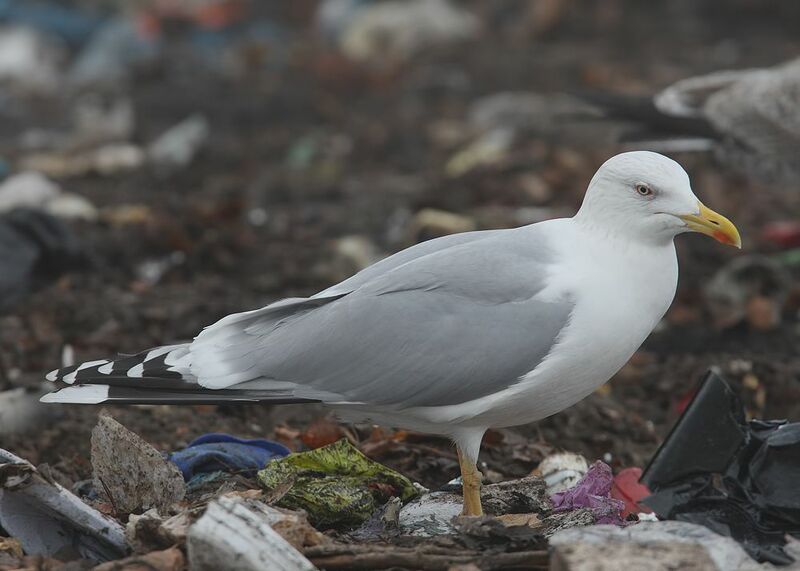 At Getlini Dump, Rumbula in Latvia there was quite a good percentage of omissus types .. 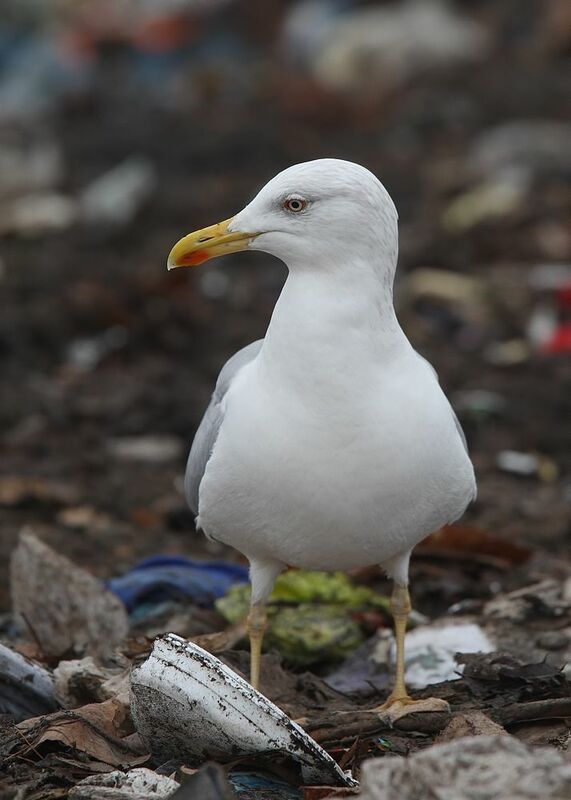 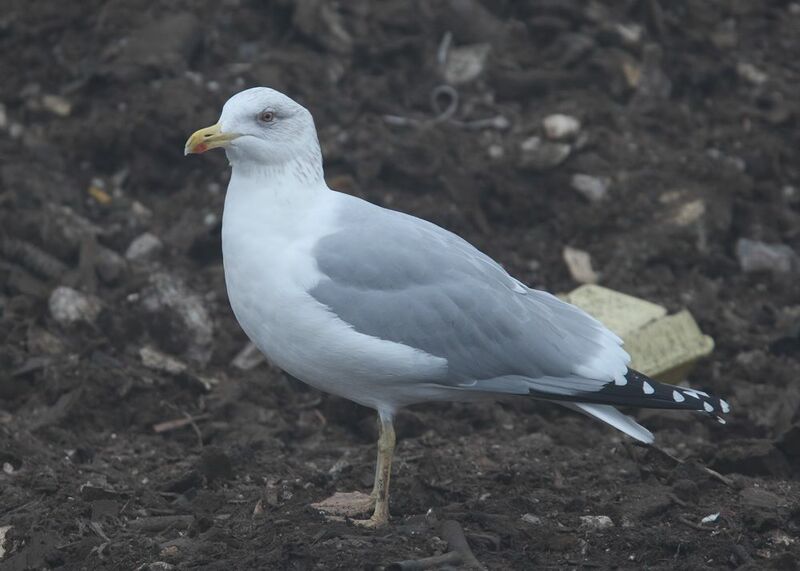 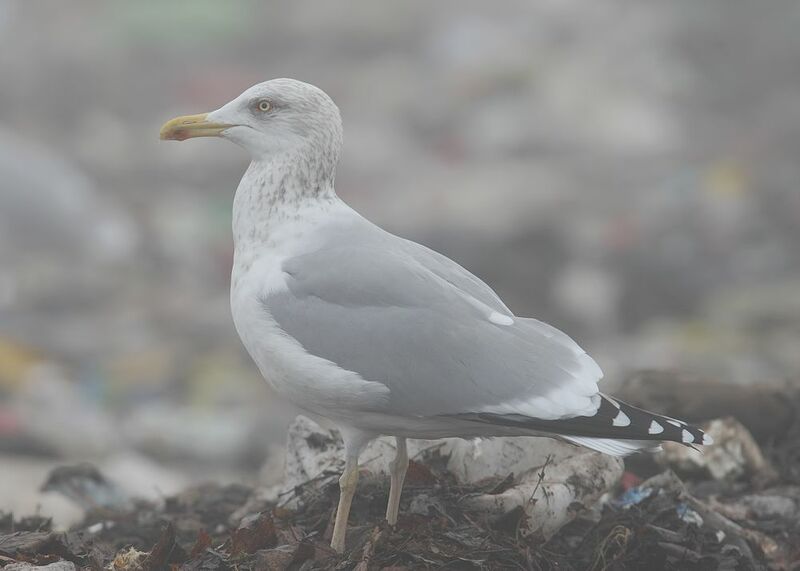 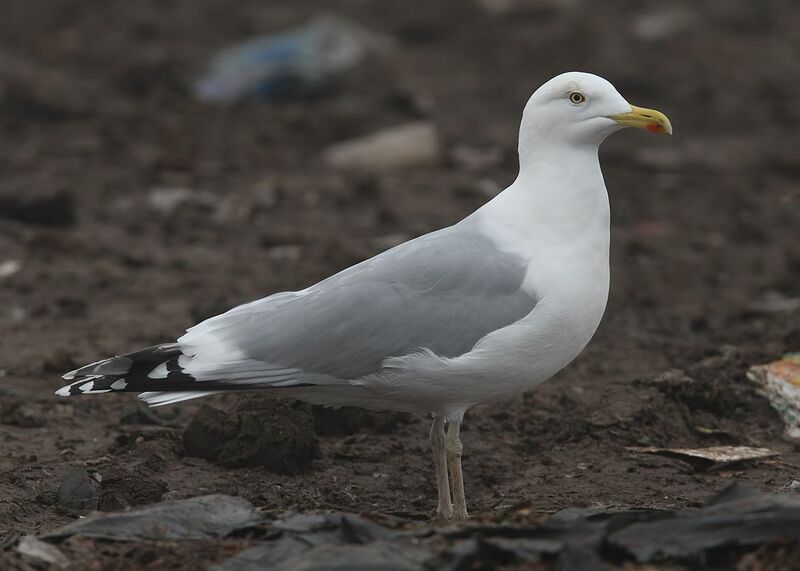 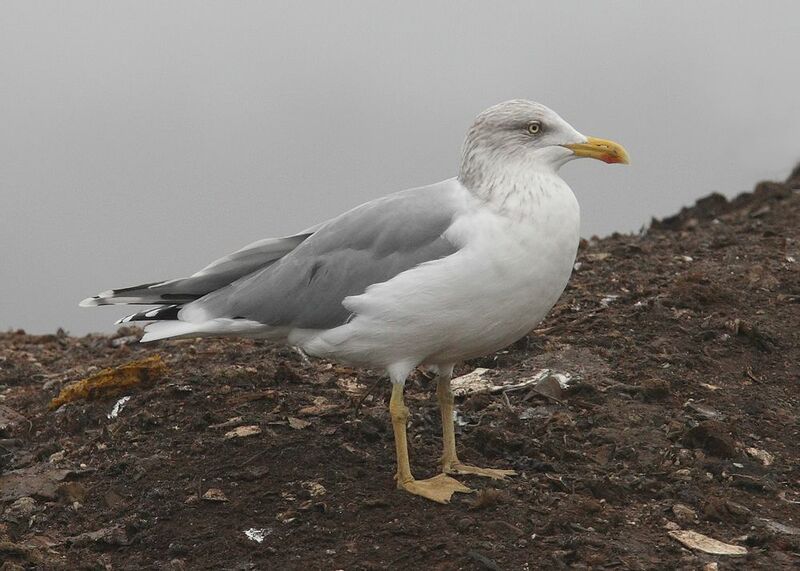 The subspecies 'omissus' is Herring Gull with yellow legs, which is variable from pale tinged to bright yellow, resembling michahellis. 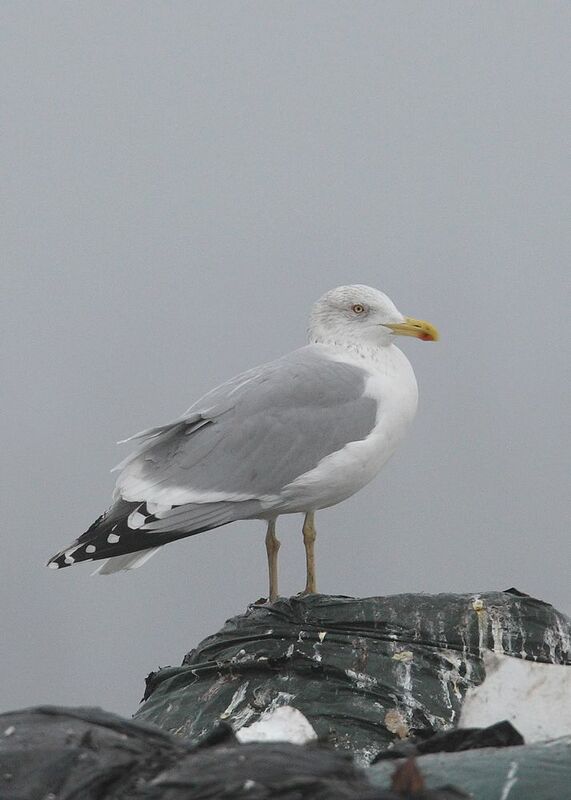 The orbital ring of 'omissus' is reddish, again similar to michahellis, where as in argentatus its yellowish .. 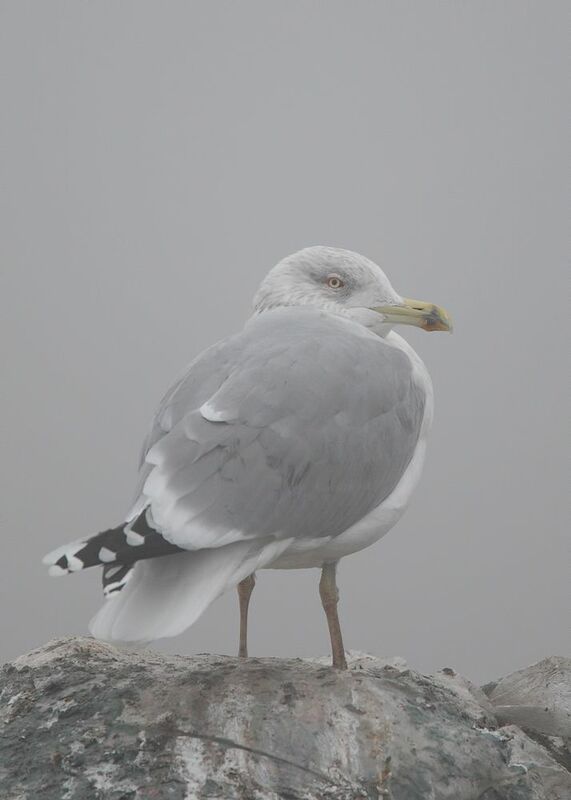 The grey mantle shade is slightly paler than argentatus with a Kodak Grey Scale 4.5 ~ 6 against michahellis Grey scale of 5~ 7. 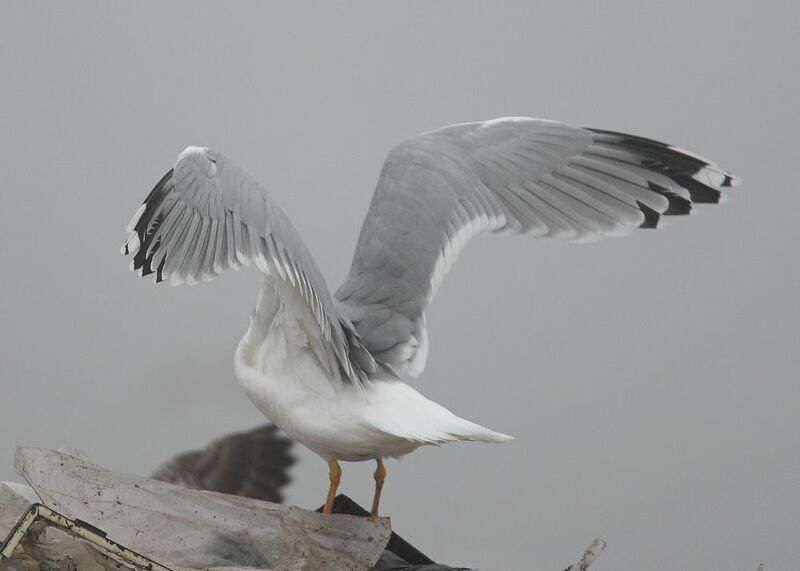 In the field under overcast conditions the grey of the mantle seemed no different to birds with pink legs. 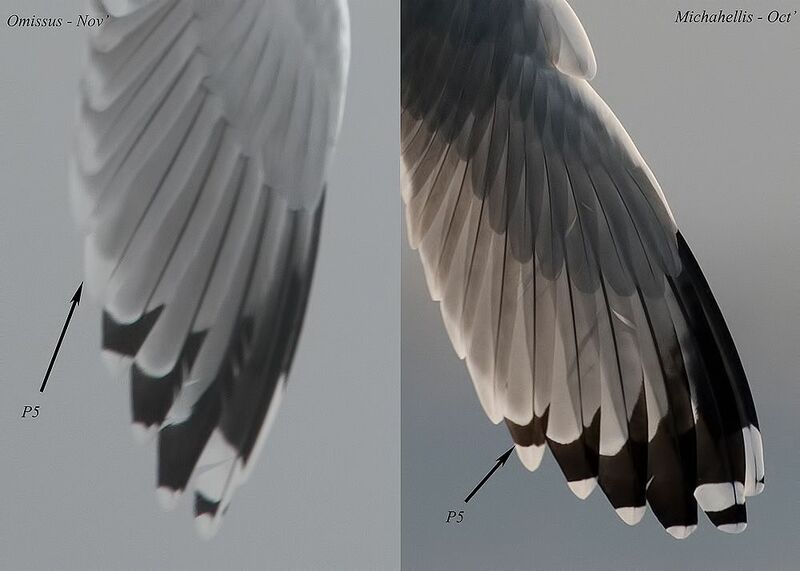 The wing-tip pattern of 'omissus' shows a large white tip to P10. 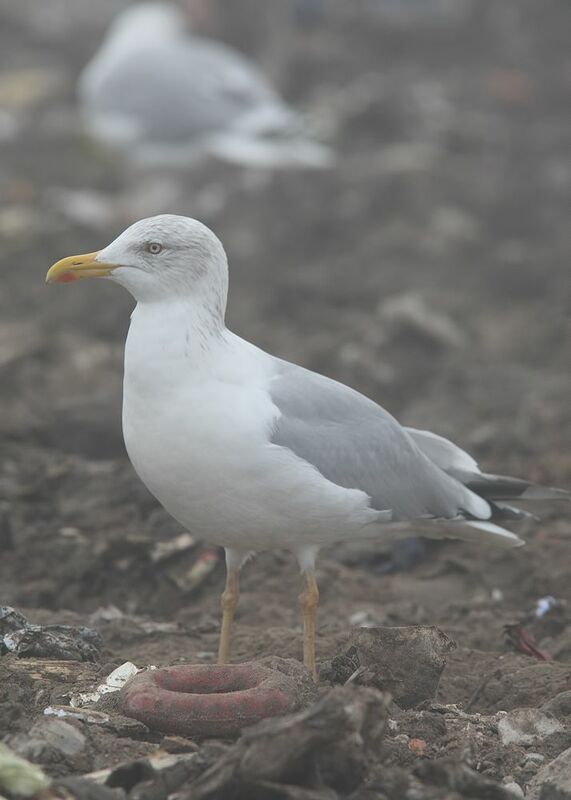 P9 mirror with the sub-terminal band either solid or broken across the web. 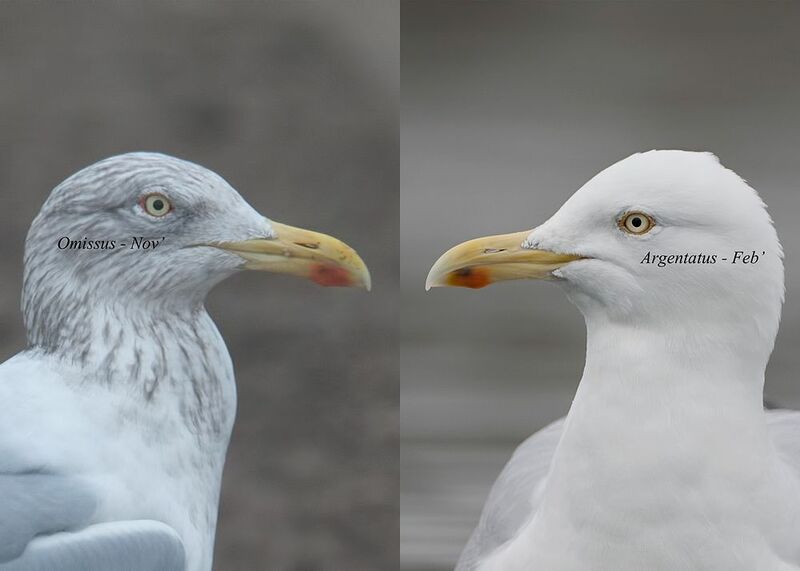 P5 is either un-marked or a thin band. 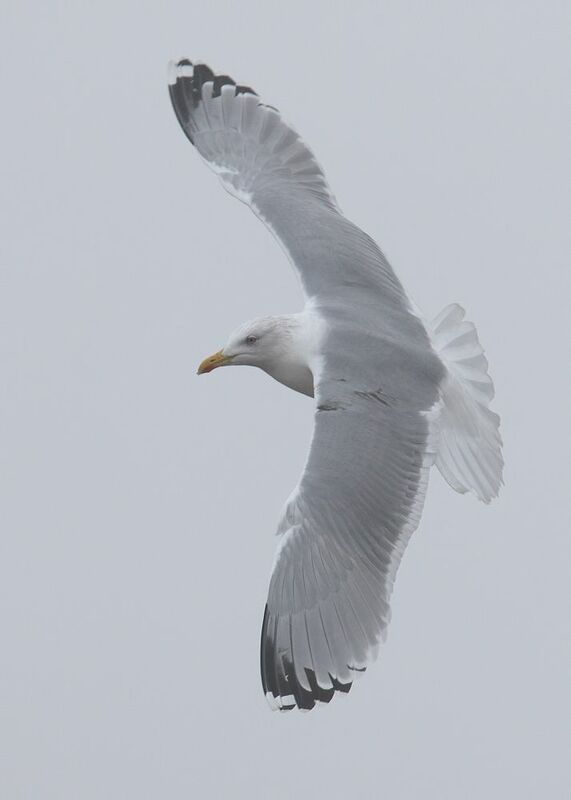 Most michahellis have a broad unbroken band to P5. 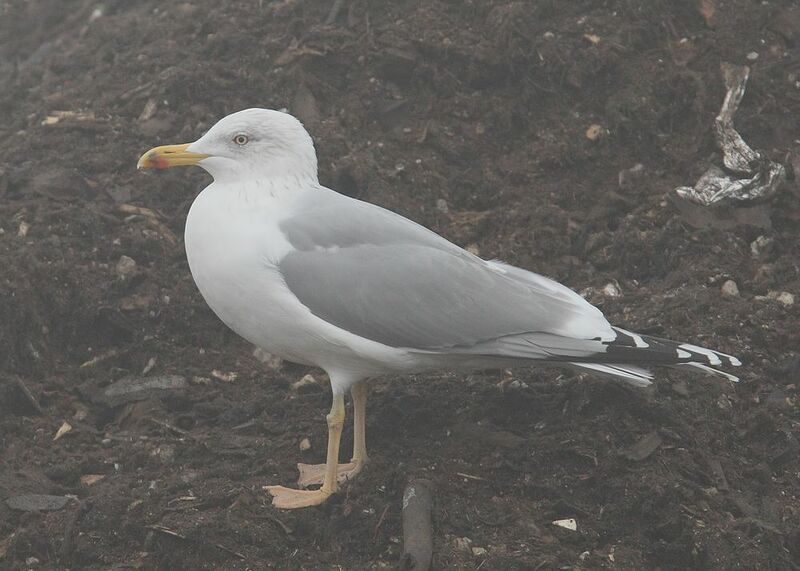 in breeding plumage, to note the intensity of leg & orbital ring colour.